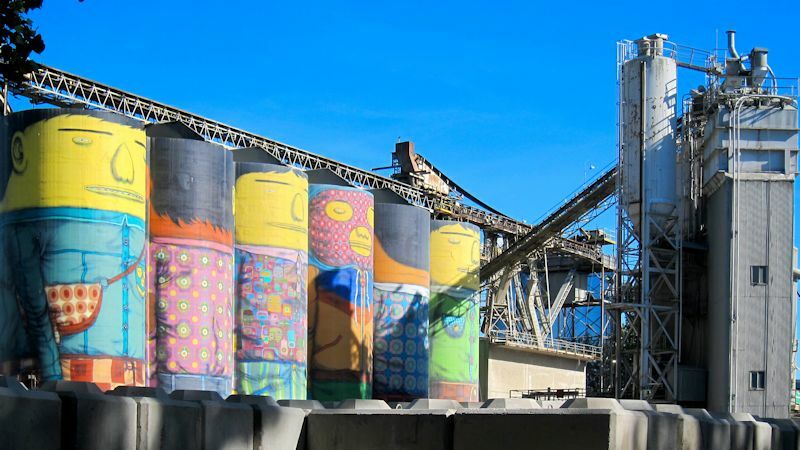 Whilst wandering around Granville Market area in Vancouver I came across this cement works where the containers had been colourfully painted, some facing me and some facing the waterfront. Opinions may be divided but I feel that imagination has resulted in a drab industrial area becoming more interesting. Nice capture and very original.